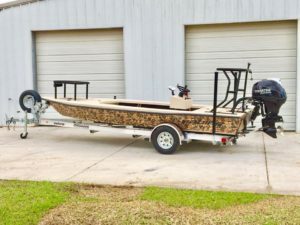 Aluminum Skiff? 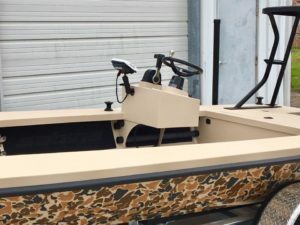 Yep, meet Sabine Skiffs! 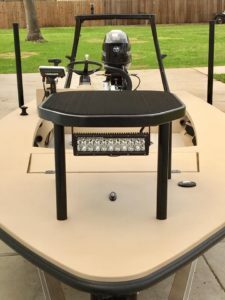 You are here: Home / Articles / Skiffs / Aluminum Skiff? 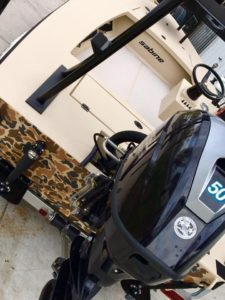 Yep, meet Sabine Skiffs! 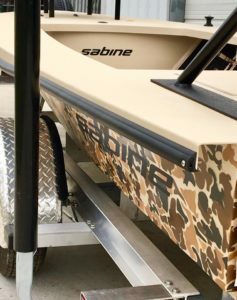 The Sabine Skiffs Versatile has accomplished what the industry said was impossible for aluminium skiffs, zero hull slap. 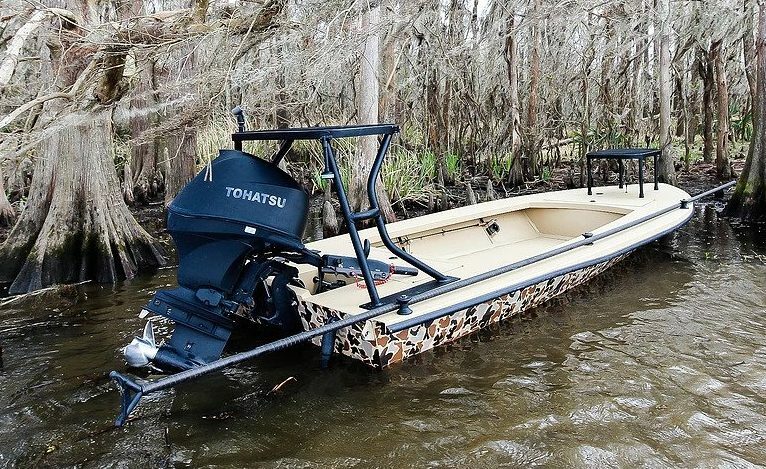 The zero dead rise hull design allows for a very shallow draft while featuring additional design elements that counteract the waves hitting the hull at different angles; the main cause for hull slap. 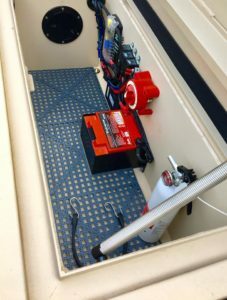 We especially liked the walk around gunnels, key for fighting a fish hell bent on making you work for that catch. 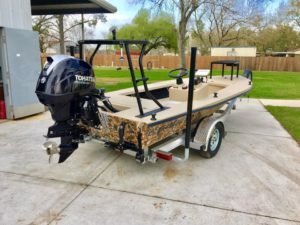 Standard options are generous and include push pole holders, Front/Rear dry storage hatch, Built in Aluminum 17 gallon fuel tank and especially nice are the under gunnel rod holders; 6 rod tubes to be exact capable of holding up to 9′-6″ fly rods.